Several major infrastructure projects in Vietnam have seen their costs sharply increase compared to the estimates, yet no-one is being held for these problems. 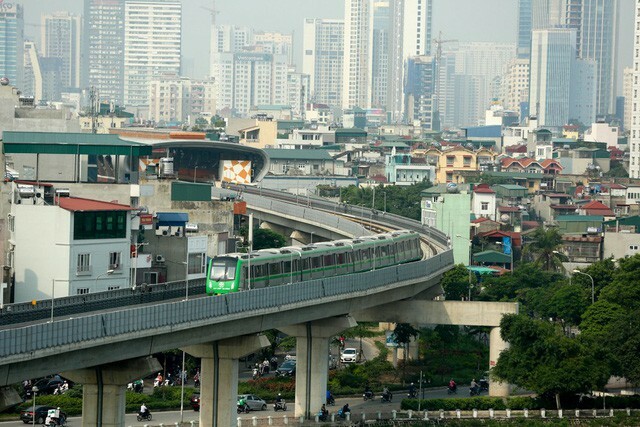 Statistics from the Ministry of Planning and Investment show that HCM City's Ben Thanh-Tham Luong Metro Line originally was slated to cost VND26.1trn (USD1.04bn) with VND20trn (USD800m) from the Asian Development Bank, VND11trn from the KfW, VND5trn from the European Investment Bank and over VND12trn of Vietnam’s reciprocal capital. However, the costs were adjusted upwards to VND47.6trn in 2015. The cost for Hanoi's Cat Linh-Ha Dong Metro Line increased spectacularly from VND8.7trn (USD374m) to VND18trn. The cost for the Nhon-Hanoi Station line increased from USD783m to USD1.1bn. The inflated costs have shocked people. Obviously, development requires investment and opportunity costs but many projects with inflated costs are stagnant and hugely inconvenient. It used to take 20 minutes to travel from Ha Dong to Hanoi's centre but with the construction blocking the streets, it now can take up to an hour and a half. It's a waste of money considering the years the projects were stagnant and the payments to the staff. The Sao Khe River dredging project was estimated to cost VND72bn (USD3.1m), but then the cost went up to VND2.6trn. National Assembly Deputy Nguyen Anh Tri said during a meeting session in May that if project costs were only mice in their early stages, they soon turned out to be elephants. "There's hardly any baking powder in the world that can turn a project cost which was the size of a mouse into an elephant and a mammoth like that," he said. It is estimated that each person would have to bear over VND35m (USD1,500) of public debt this year, an increase of VND4m compared to 2017. "There are still many 5-member families that can only spend VDN15,000 per meal. Why are we wasting so much money?" Tri said. Many reasons have been offered in the reports by ministries and state agencies such as difficult ground clearance, inflation and weak consultants. But it's unclear who will take responsibility for those issues.